Smaaash is a Gaming Arena nestled in the Cyber Hub, at Cyber City Phase 2, Gurgaon. The venue is located at a convenient location, being in close proximity ie. 500 m from its nearest metro station- Vodafone Belvedere Tower, on the Rapid Metro Line of DMRC. One can easily reach the venue through a one minute's drive from the metro station. The newly opened Smaash entertainment centre is a virtual paradise for gamers and sports fanatics alike. It includes some unmatched range of games and recreational activities and it also immerses oneself into virtual reality technology that is so near to the reality that it completely absorbs one's senses. The venue has a fun and frolic environment and brings out the essence of your events well. Smaaash has an accommodation capacity of up to 300 guests, which makes it ideal for your events like Birthday Party, Corporate Party, Kids Birthday Party, and Social Gathering Events. Take your taste buds on a world tour with their Greek Greens, Thai Speciality, Italian Classics, Mexican Bites and more. With a mouth-watering array of starters, Indian food, main course and desserts to choose from, Unforked is the place to be at when you feel like experiencing an awesome dining experience! 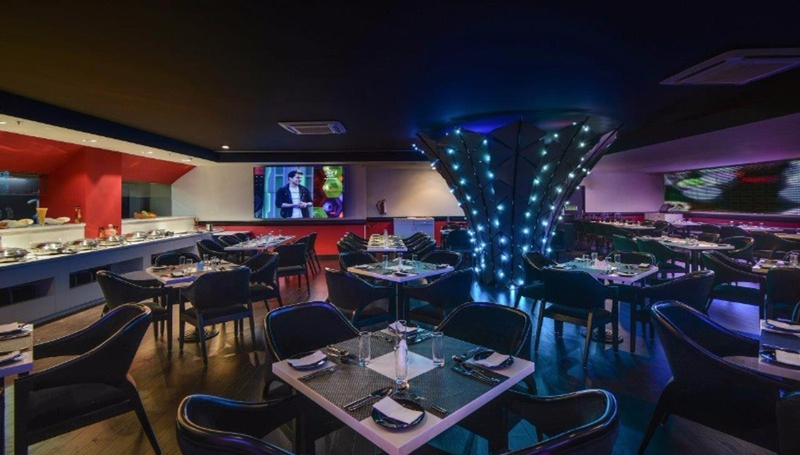 Smaaash is a perfect gaming arena for your events including Anniversary Party, Bachelor Party, Birthday Party, Cocktail Party, Corporate Party, Kids Birthday Party, and Social Gathering Events. Celebrated my bday here, smaash is a super awesome place to be!! Loved it here. been here four times and didn't have a bad experience once! Love this place, my fav go-to place for all parties!! Great fun to be here..